Many people including myself still love the desktop gadgets that were introduced in Windows Vista. They were removed completely in Windows 8 which made many people unhappy. Here is good news for everyone who loved and missed Desktop Gadgets in Windows 10/8.1 Gadgets Revived, a new project is available. 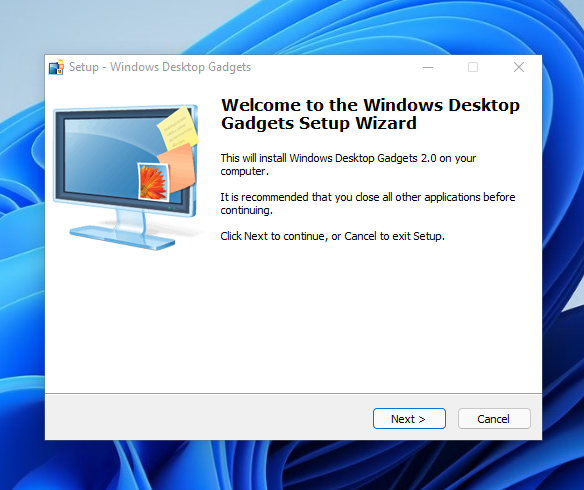 It’s taken a little longer than we were expecting, but finally a good software is now available to get desktop gadgets feature in Windows 10 and Windows 8.1 versions. Unlike other gadget packs out there for Windows 10/8.1, Desktop Gadgets Reviver not only adds gadgets to your desktop but also adds Gadgets entry to desktop context menu and Control Panel, just like in Windows 7. For all gadget fans who enjoyed and had fun with them, here is the revived version of Desktop Gadgets/Sidebar that is compatible with Windows 10 and Windows 8.1! Installer supports all possible Windows 10 languages, so you will get gadgets and sidebar's interface with your native language. It is able to detect the required language automatically and install will it for Sidebar. Installing Desktop Gadgets pack is fairly simple. Wait for the installer to finish. 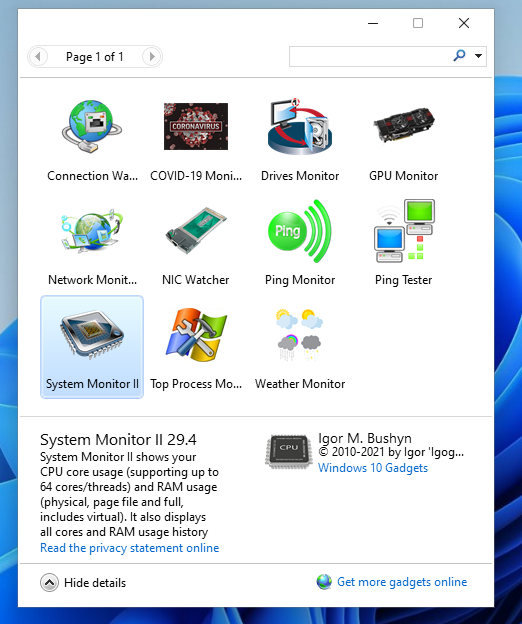 Desktop Gadgets Reviver pack integrates into the desktop context menu and Control Panel. That is, you can quickly access Gadgets window by right-clicking on the desktop, and clicking Gadgets. The other cool feature is that you can also hide all gadgets on the desktop by right-clicking on desktop, clicking View, and then clicking Show desktop gadgets. 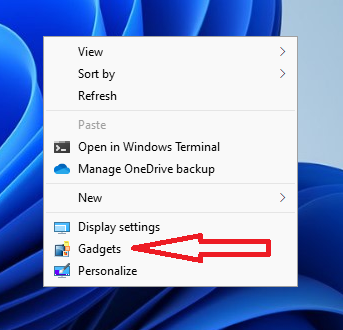 Once Desktop Gadgets pack is installed, it will automatically open Gadgets window that we’re familiar with. By default, just like in Windows 7, Gadgets window includes a total of eight gadgets: Calendar, Clock, CPU Meter, Currency, Feed Headlines, Picture Puzzle, Slide Show, and Weather. Moreover, you will be able install new gadgets from our site.